If you are a website owner, you must be familiar with SiteGround. They are not the new kid on the block. 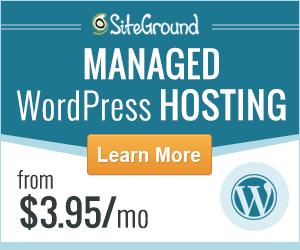 SiteGround is now a popular name in the web host industry. 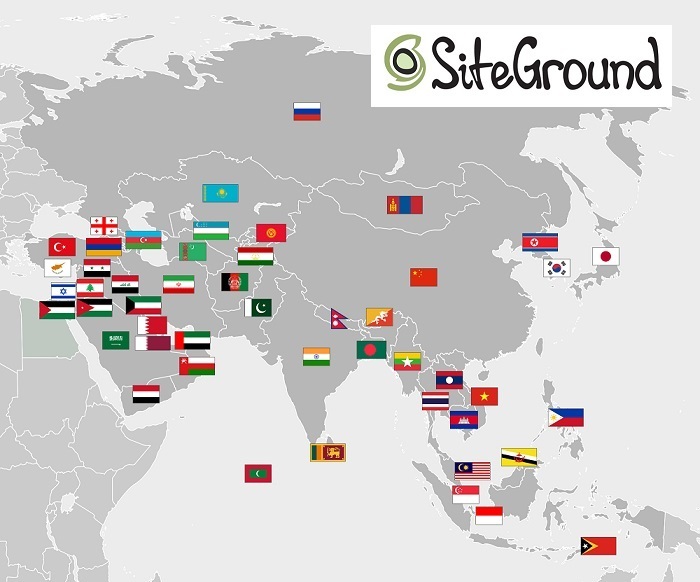 Today, in this post, we will be reviewing Siteground for our readers from Asia. So, if you are one of them, start reading the rest of the article. We will share very important and authentic data about SiteGround. From which you will be able to make your decision about SiteGround without going to any more places. So, without wasting more words, let’s jump right in. First and foremost, we will be discussing the data centers. Can the Data Centers affect on your website? Data centers can affect your website’s performance in different ways. We will discuss some of them below. How the location of the Data Centers can affect a website? If you are not new into web hosting then you know that how important the location of a data center can be for your website. There are a lot of reasons for which your website’s performance could be affected. And, among them, the location of your website’s data center is one. First of all, let’s clarify this phenomenon. When you first choose a web host provider, they store your website’s data on a specific data center or server of their/your choice. Now, when a visitors visits your site your website‘s data will be transferred to him from that server directly. As a result, if the location of your website’s data center is far from the visitor, it will take a lot of time to transfer the data. Thus, your website will load slowly to that visitor. It is normal that you will receive visitors from a lot of locations. However, it is also true that there will be a location from where you will receive the majority of the visitor of your website. For instance, for you (our Asian readers) you might get visitors from within Asia mostly. However, it will highly depend on the content and audience of your website. So, for you, the best decision would be to get a web host service which has data centers on Asia. That way, your maximum visitors will get a great experience browsing your website. In a few words, you must host your website as close as possible to your website visitors to get the best out of your website. How the quality of the Data Centers can affect a website? If the data centers of a web host company don’t have up to date technologies, it will be worthless for you. Your site will load slower because of that. So, you will need to choose a data center which comes with all the latest hardware. You also need to think about the power sources of the data centers. Without proper power sources, your website will be down all the time. To add to this, the data centers should have proper power backup too. In case if the main sources fail, then the backup will be handy. Siteground has their data centers (4 in total) in 3 continents. And, Asia is one of them. 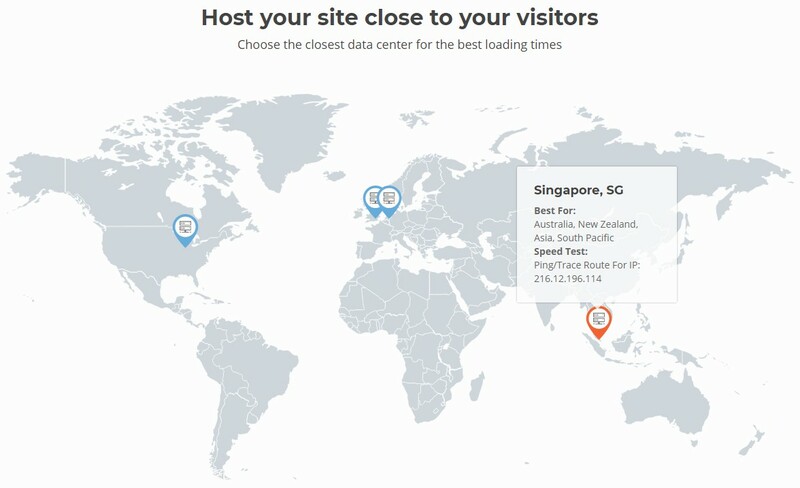 Siteground has a data center in Singapore which is the best option for users from Asia. Other than that, they have data centers on other continents too. Other data centers are situated in USA (Chicago), United Kingdom (London), and Netherlands (Amsterdam) etc. So, you have a lot of options to host your site on Siteground. If you receive visitors from Europe then you have two options which are the United Kingdom (London), and the Netherlands (Amsterdam). And, if you receive visitors from America then you have the Chicago data center. How is the Quality of the Data Centers of SiteGround? Siteground has very good quality data centers. All of their data centers use the latest hardware and upgraded technologies on their servers. To add to that, they always upgrade their data centers on a regular basis. Recently, they have started to use SSD (Solid State Drive) instead of HDD (Hard Disk Drive) to store data of their customers’ site. That is not all. Siteground offers SSD hosting with all of their hosting plans. It does not matter if it’s a shared hosting plan or a dedicated hosting plan. On the contrary, you will see that most of the other popular web hosting companies charge extra money for SSD hosting. However, SSD hosting is very good for your website. Your website loading speed may increase up to 20 times using SSD over HDD. Now, let’s talk about the power sources of SiteGround data centers. Siteground is very strict about their data center facility. They have multiple power feeds for each of their data centers. It is very important to have good enough power backup for your data centers. And, SiteGround obviously knows that. That’s why they have their own generators and industry-standard UPS as backup power sources. You can’t tell when something bad will happen to the actual power sources. So, SiteGround is very much prepared for this type of awkward situation. Now, let’s run some experiment on SiteGround. In this test, we will try to find out about the loading speed of SiteGround servers. To get to know about SiteGround, we would need a website which is hosted on SiteGround. You will be surprised to know that we will use this website as the test subject. And, we know that you have already guessed the reason behind this. Yes, that’s right. This website (ReviewPlan.com) is hosted on SiteGround. Plus, we have chosen the USA (Chicago) data center to host our website. Now, let’s get to know about the test in detail. To conduct this test, we will be using the popular Pingdom website. As you might have already known that Pingdom has 4 dedicated test servers. By using those servers you can test your website’s loading speed. As a result, you will be able to assess the performance of the web hosting company which that test website uses. What to anticipate from the test result? As this post is particularly created for our visitors of Asia, we will first use the Australian server of Pingdom. As this is the closest test server to Asian countries. However, you have to remember that the test subject (ReviewPlan.com) is hosted in Chicago, which is very far away from Australia. That means that eventually, the result might not demonstrate the actual quality of SiteGround. Yet, to make an unbiased review, we must perform that test. The most important data, we will acquire from this test would be the ‘Load Time’. Simply put, we will be happy if our site loads as fast as possible. The standard load time of a website should be around or below 2 seconds. So, let’s get to it. As we said, first, we will use the Australian server of Pingdom. We can see that we have scored 89 out of 100. And, we have got ‘B’ as the ‘Performance Grade’. As you can see 2.63 seconds is the load time from the Melbourne server. As we use the Chicago data center of SiteGround, the load time is higher. Yet, the load time is very close to the standard load time. So, to get more of an accurate result we would have to use Pingdom’s American server. So, we will now run the second test. In this test, we have performed very well. As you can see the performance grade was A. And we have scored 90 out of 100. The load time is also exceptional in this case. As you know that around 2 seconds is a good load time, in contrast, we have got our website loaded in 829 ms. That clearly shows the ability and the quality of the SiteGround web hosting service. Now, we are going to test the speed of the SiteGround server. As always, we are going to use the ReviewPlan.com website to perform this test. And, this time we are going use a different website named Bitcatcha. Let’s know more about this second test. 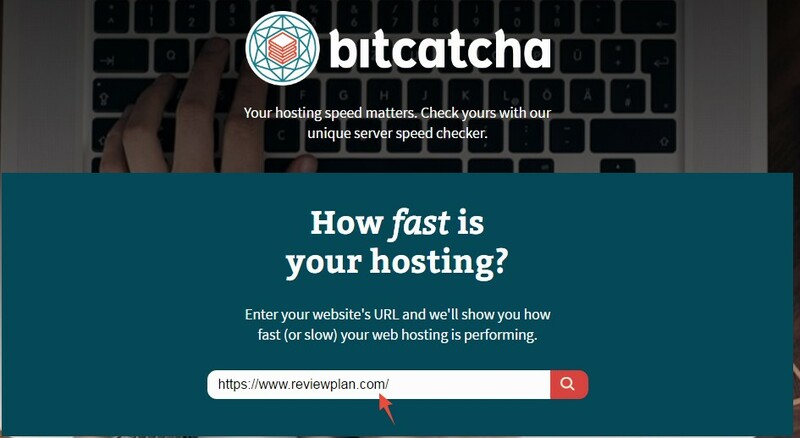 Bitcatcha has 8 test servers all over the world. And, we can test the speed of our hosting service from all of those locations. The servers are located in London, Singapore, USA (W, E), Sydney, Japan, Bangalore, and Sao Paolo respectively. As we are writing this post especially for the readers from Asia, we don’t actually need to think about all of these servers. On the contrary, only three servers are very important for us. They are the Sydney, Bangalore and Singapore ones. The result will show us the ‘Response Time’ of our website’s server (SiteGround server). The response time is an indicator of how faster or slower your websites’ servers can be. Now, it is advisable to choose a web hosting company which has faster servers. Or else, your website will load slower for your visitors. What could be a good Server response time? This is a very important question. Although, there is no clear-cut answer to this. However, Google recommends around or below 200 ms is a good server response time. You should know that it is better if the response time is lower. Now, let’s run the test. Here, we can achieve A+ as the highest possible grade. Eventually, we have achieved that with ease. For our Asian readers, here are the most important results. The response time from Sydney is the highest of all the three, which is 189 ms. And, the rest two response time from the Bangalore and Singapore servers are 153 ms and 73 ms respectively. From those results, it is very clear that we have achieved lower than the recommended response time of Google. Siteground has again proved their ability. Even though our website is not hosted on an Asian server, we have performed excellently on all the Asian test servers. Now the third and the last test. In this test, we will be using this website again as the test subject. How will we conduct the ping test? For this test, we will be using ‘Ping Tool’ of Keycdn. They have 16 test servers in different parts of the world. 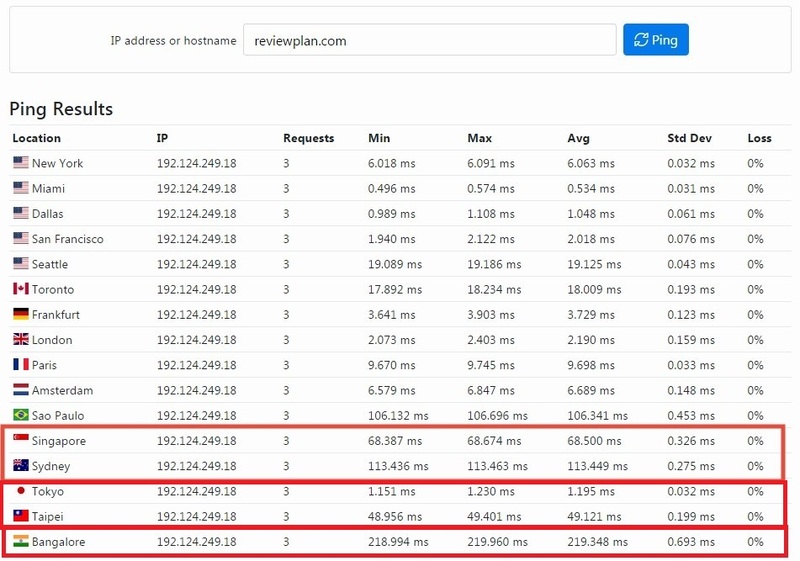 Using those, we can test the Ping time and the amount of packet loss for the servers of SiteGround from this test. The result will be for all the 16 servers. But, we don’t need to look at all the results. For you (Asian readers), we will just focus on the result of Sydney, Bangalore, Tokyo, Taipei, and Singapore server. And, as always, it is better if the ping time and the packet loss is lower. We would be happy if the ping time is lower than 300 ms. let’s see. There are a lot of data in this test result. But, we are going to take a look at the average ping time first. Here, the ping times from the Singapore, Sydney, Tokyo, Taipei, and Bangalore server are 68.500 ms, 113.449 ms, 1.195 ms, 49.121 ms, and 219.348 ms respectively. You can see that we have achieved a very good result from different parts of Asia and Australia. The most amazing thing is that SiteGround servers don’t have any packet loss (0%) on any of the servers. It is really incredible. This is another sign of the highest quality server of SiteGround. Till now, we have performed 3 tests. And, we have also used several servers from different parts of the world to carry out those tests. Eventually, we have analyzed the results from the Asian servers all along, and we have found out that SiteGround has performed over the top on each test. All of these implies that it will be a good decision to use SiteGround if you are from Asia. You will get faster load speed on your website. On top of that, the server response time will also be top-notch. What more you can do to enhance the speed of your website? We have already seen that SiteGround does not have a problem regarding their performance and quality. But, is there any way that you can improve the performance of your website further? We are talking about CDN (Content Delivery Network). It is very helpful if you have an international website. Let’s say, your website receives visitors from all around the world. At this moment, you can’t host your site on different parts of the world at once. If you could it would be the best thing for all of your visitors. By doing that, you could make your website load faster for all of the visitors at once. To make this thing possible, you can use any CDN service. If you’re not aware, a CDN service is a system of servers connected to the same network. So, if you use any CDN, your website will be cached and stored on all the other servers of that same network simultaneously. So, your visitors will be served from the nearest server to them which will dramatically improve the quality of your website. It doesn’t matter from which part of the world they are from. As ReviewPlan.com is also an international website we use Sucuri CDN here. It helps us tremendously to serve all of our visitors equally. They have 11 data centers on different parts of the world. All these servers help us to transfer our website’s data to all corners of the world with equal importance. Along with CDN service, Sucuri has other useful features too. We are very satisfied with them. So, we recommend using Sucuri CDN if you want to. For a website owner, your website’s contents are the most valuable to you. Once you post something on your website, you need to take a backup of it. Or else, if somehow your website gets compromised, you will be left with nothing. So, it is a very sensible thing to take a backup of your website whenever possible. We know that it is not always possible to take the backup yourself on a regular basis. So, Sucuri has brought this service to take the burden from your shoulders. Once you set this up, your website will be backed up automatically at the scheduled moment. If you haven’t taken security measures for your website, you must act now. And, if you are not a techy person, you can lend a hand from Sucuri Firewall. It is another awesome but very easy to use tool to keep your websites secure. Once you set it up, you won’t have to worry about your website’s security anymore. Before you finalize the deal with any web hosting companies, you need to check on their real uptime record. We are not talking about the record which you find on their own website. Most of the time, it is misleading. Thus, you need to get the data from an actual user. Luckily enough, we are using SiteGround for a long time in this website. So, we always keep monitoring the uptime record of our website. For your convenience, we will share that with you. So, you can judge the performance of SiteGround yourself. The uptime and downtime stats of ReviewPlan.com. 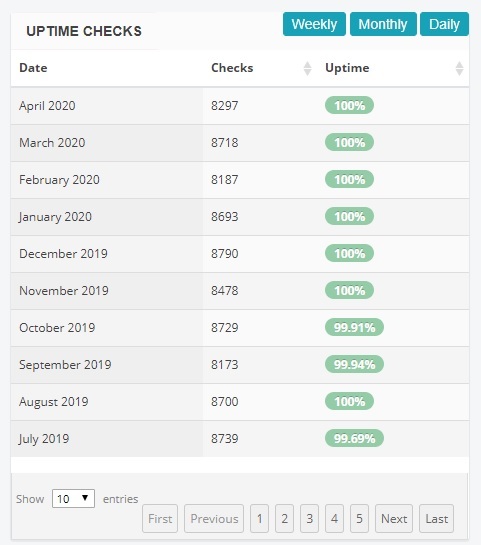 It is transparent that SiteGround has maintained almost 100% uptime. Yet, on some occasions, they were short of 100% but not by much. You might already know that the standard uptime record is 99%+. In that case, SiteGround has maintained the industry-standard uptime comfortably. It won’t be a complete review if we don’t talk about the support of SiteGround. From our own experience with SiteGround, we can assure you that, they have some of the best customer representatives. You can contact them 24/7 by using any of the following methods. They are very helpful and will always try their best to solve your problem. We are very happy with their service. Conclusion: Should you go with SiteGround if you are from Asia? There’s no denying that they are the best option as a web host company for our readers from Asia. If you use SiteGround, you can choose the preferred data center for your website. Although they recommend the Singapore one for their Asian customers, you can choose any of the others as well. Most importantly, WordPress, Joomla, and Drupal etc. officially recommend SiteGround on their website. Along with that, with our direct experience with them, we also highly recommend SiteGround for our readers from Asia. You can go with SiteGround without a second thought.